US/Washington: American Honda Motor Company Inc., a Torrance, California, establishment recalls an estimated 3,200 CRF250R Off-Road Motorcycles due to suspected component detachment and consequential risk of loss of vehicle control, crash and injury, all serious health and safety hazards. 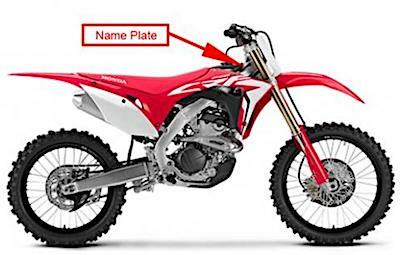 The US Consumer Product Safety Commission (“CPSC”) reports this recall involves all 2018 Model Year CRF250R Off-Road Motorcycles. The recalled Motorcycles were sold in a red color with the make and model “HONDA” and “CRF250R” printed on the sides of each Motorcycle. The model name and model year are printed on a name plate label located at the front right top of the frame, near the steering head. Please consult the photograph above for details of the vehicle’s design and retail presentation. One (1) additional image of the recalled Off-Road Motorcycles can be found on the Web site listed above. According to the CPSC, a component of the Motorcycle’s clutch can break, posing crash fall and injury hazards. If you believe you have purchased or have in your possession any of the recalled Off-Road Motorcycles, please do not use them. Instead, contact your local authorized Honda Powersports dealer to schedule an appointment for a free repair. Honda is also contacting all known (i.e., registered) purchasers directly. If you have any questions about this recall notification, please contact American Honda toll-free at 1-866-784-1870 from 8:30 AM to 4:30 PM, Pacific Standard Time, Monday to Friday. Alternatively, you can visit the company’s Web site at http://powersports.honda.com/ and click on the “Recall Information” link at the bottom of the page for more information. ==> To see other recalls and notifications caused by suspected faulty and/or dangerous Motorcycles, please search for “motorcycle” using the Search Box at the top of this page. ==> To see other recalls and notifications relating to Motorcycles or related related devices or their accessories such as sidecars, carriers or after-market parts, please search for “motorcycle” using the Search Box at the top of this page. ==> To see other recalls and notifications relating to Snowmobiles their components or their accessories, please search for “snowmobile” using the Search Box at the top of this page. 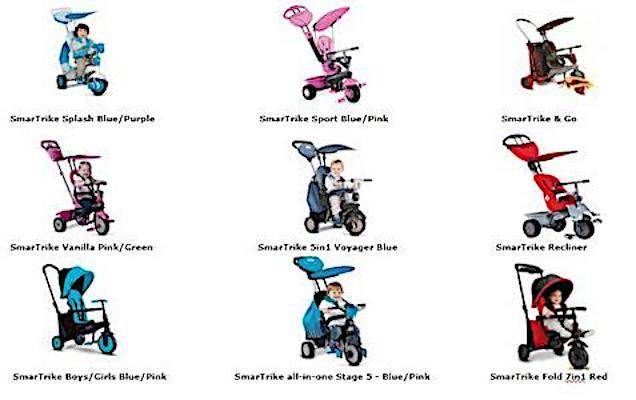 ==> To see other recalls and notifications relating to products made, marketed and/or sold by American Honda Motor Company Inc, please search for “Honda” using the Search Box at the top of this page.